The airbag light that looks like the above or SRS Will NEVER come on unless a problem with your cars airbags also known as SRS (supplemental restraint ) has occurred. 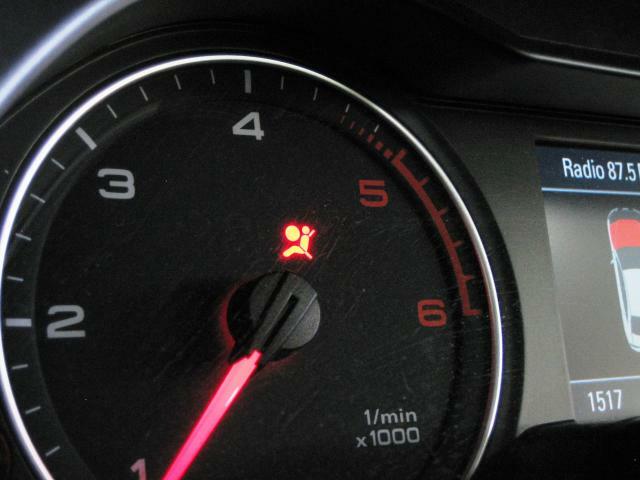 If you have the airbag light on visit our airbag light page to find more information. Dashwarningights specialise in diagnosing and fixing faults with BMW , VW , and any other car airbag problem that can cause your airbag light to come on. Most of the time with airbag faults they can be fixed while we are there at no more expense. An example is the VW Golf MK 5 airbag light fault as new as 2006 models which is easily fixable. As the increasing amount of sophistication in the computer managed engine system, the days of the diy fault diagnosis is no longer possible. The average car owner is not able to afford the computer equipment needed to diagnose the, engine light, car airbags, or abs system. Most motorists will not realise there is a problem until there cars MOT fails, the engine light comes on or the car wont run well. The time is then to call us - we'll meet you, diagnose the fault activating the engine light, and explain exactly what has gone wrong. 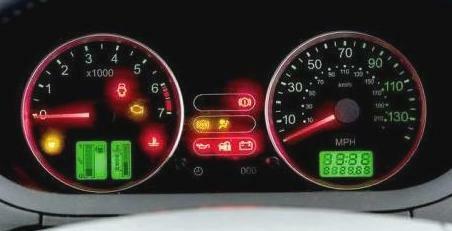 It's always a worry to see a warning light on your cars dashboard , We have the answer to take the worry away. Phone us today, and a engineer will come out to you in one of our vans full with diagnostic computers and tools.